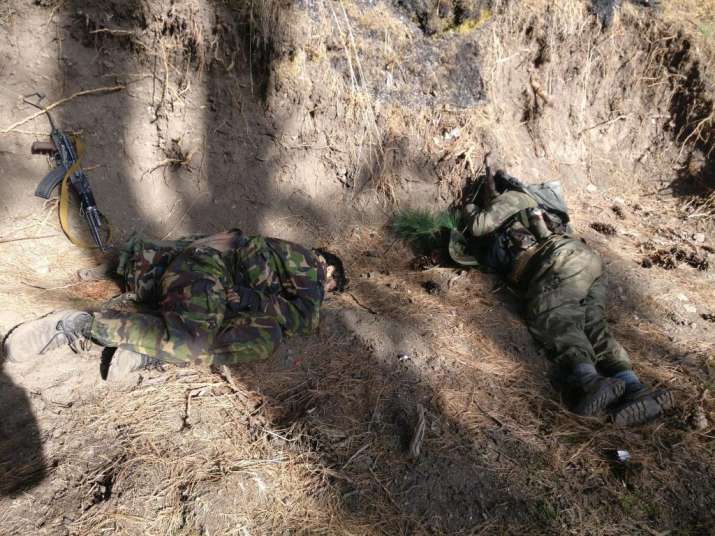 “We will ask Pakistan to take back the mortal remains of deceased likely Pakistani soldiers since Pakistan did provide full covering fire support to these intruders,” said Indian Army. Indian Army has foiled a major BAT (Border Action Team) attempt to strike a forward post along Line of Control (LoC) in Naugam Sector of Jammu and Kashmir, on Sunday. Intruders attempted to move by exploiting thick jungles close to LoC and were assisted by heavy covering fire of high calibre weapons from Pakistani posts. "Army foiled a major BAT attempt to strike a forward post along the Line of Control in Naugam Sector in the early hours of Sunday," an Army spokesman said. "The movement was nonetheless detected by the vigilant Indian Army troops deployed along the LoC," he said. The spokesman said the fire-fight initiated by Pakistan was given strong retaliation by the Indian Army and the exchange of fire continued the whole night. Intruders were wearing combat dresses like Pakistani regulars and were carrying stores with Pakistani markings. Some were also seen in BSF and old pattern IA dresses. From the recovery, it was estimated that they intended to carry out a gruesome attack on the Indian Army. "Our troops conducted prolonged search operations in thick jungles and difficult terrain conditions to ascertain the situation, which had confirmed elimination of two likely Pakistani soldiers," said Indian Army. “We will ask Pakistan to take back the mortal remains of deceased likely Pakistani soldiers since Pakistan did provide full covering fire support to these intruders,” Army added.